Bout #20: A romantic comedy with my new favorite actor and actress vs. a movie I accidentally got because I thought I was putting Brothers Bloom on my Netflix queue. 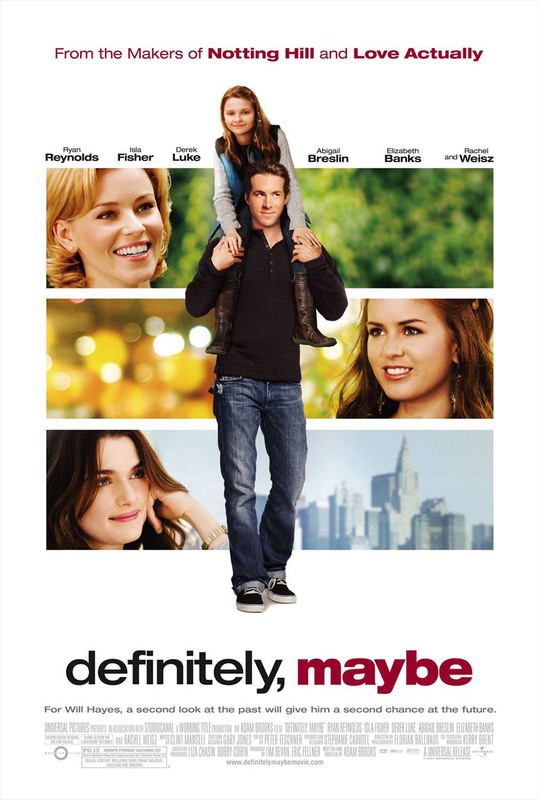 Definitely, Maybe: Ryan Reynolds is half of a divorced couple who is guilted into telling Abigail Breslin, his middle school daughter, about how he met his mother – sans the Bob Saget voiceover. In an above averagely clever twist, he disguises the names of the three main women in the story so his daughter doesn’t know which one is her mother. One of the women is Rachel Weisz, hot off Brothers Bloom – at least in my world of viewing movies. Romantic comedy, romantic comedy, romantic comedy… the end. 7 bugs. 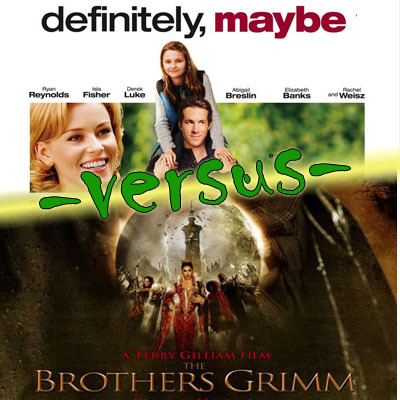 Brothers Grimm: It’s a dark fairy tale that thought it was a lot funnier than it actually turned out to be. It had surprisingly bad special effects and expected the audience to care about this undeveloped love story. I was unfooled and unmoved and struggled to stay awake to the end, which was not the payoff I was hoping for either. 2 bugs.